Towel radiators for warm dry towels. Under floor heating (will be house wide anyway, but make the bathroom areas on their own circuits. Drawer(s) that have integrated power sockets for hair dryer, elec toothbrush etc. 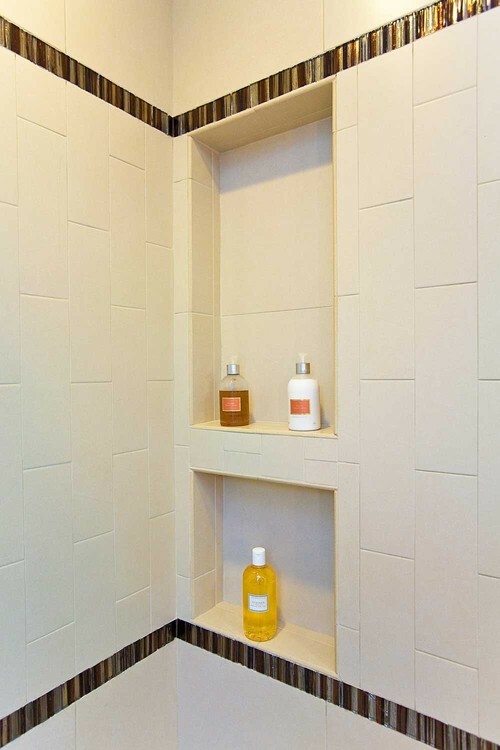 Put shelves in the shower walls to put shower stuff. Also have one at a hight good for girls that shave their legs in the shower. 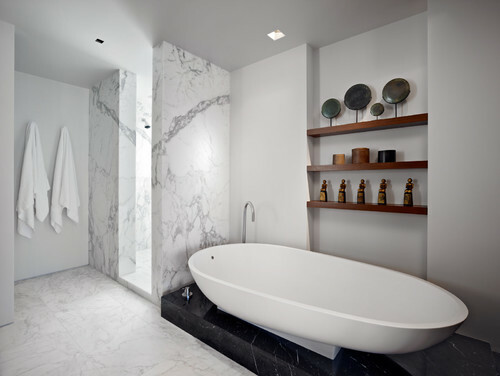 – it’s make sense for the shelf t to have no grout (be one piece of something like slate or marble) and to also have a slight slope into the shower. 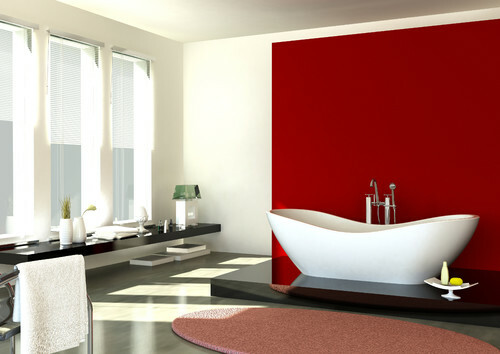 Have a look at how to place shower controls & the idea of a glass shower wall. Nice bath shape and works for 2 people having an end of the bath each. This entry was posted in Developing Ideas and tagged bathroom, storage by Rory. Bookmark the permalink.